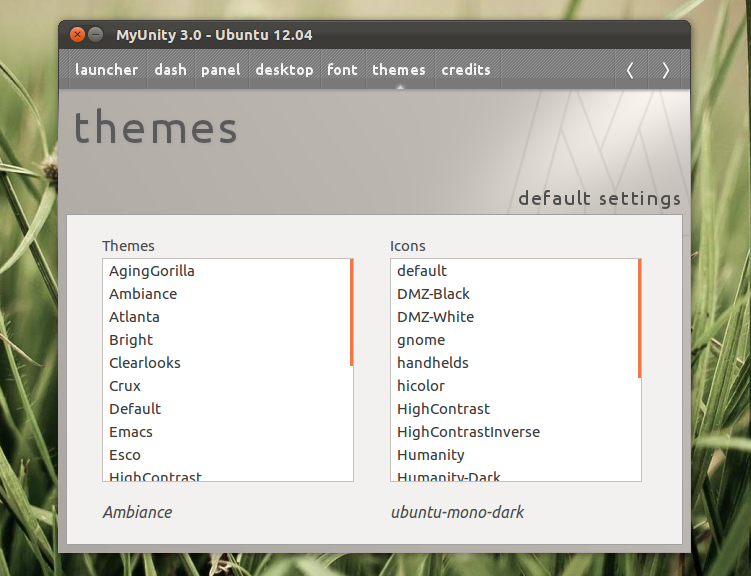 MyUnity, a tool to customize Unity, has reached version 3.0. 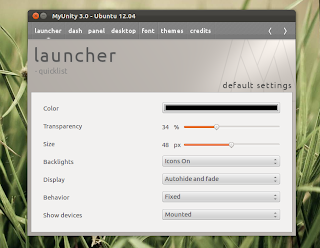 The new version brings a new user interface, full support for Ubuntu 12.04 Precise Pangolin which includes some features that were recently added to Precise like hiding apps available for download from Dash, as well as some other new features. 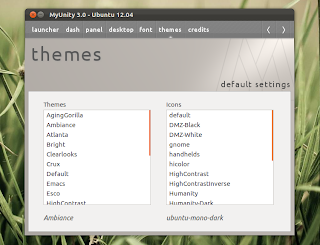 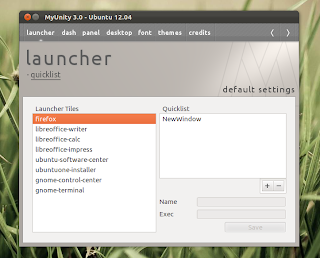 The new quicklist editor is only available for Ubuntu 12.04 Precise Pangolin and won't show up in MyUnity running under Ubuntu versions.